A Telephone Healing Consultation lasts for 45 minutes (30 minutes for an animal.) Appointment times are daytime hours Monday to Friday. Appointments are occasionally possible on weekday evenings or on Saturday mornings. Christine giving a telephone consultation. New clients can book a free 5 minute Telephone Conversation with Christine, if they wish, prior to booking a paid Consultation. Alternatively, new clients can email Christine via the Contacts page and give details of the problem/s with which they need help. Christine will reply to each email in person and in confidence. Client names and contact details will not be passed to any third party. All Consultations are totally confidential. Clients can pay by UK bank cheque, online bank transfer or by credit/debit card. Payment should be made prior to the Consultation please. There is a 10% discount for the advance booking of a series of 3 Consultations or more. Please complete the booking form and payment procedure options will be outlined further in the reply email. 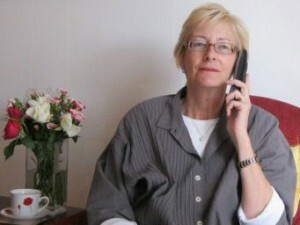 It is possible for Christine to telephone a fixed landline in most countries incurring no call charge to the client. Where there is no fixed landline it may be possible for Christine to call a mobile phone. In some countries this may incur an extra charge to the client. In such a case the call charge will be calculated, quoted to the client and added on to the Consultation fee payable prior to the appointment. Christine can visit horses or other animals personally in Herefordshire and the surrounding counties. Prices for this are explained in the Horse Healing Section. Alternatively horses or other animals can be healed effectively via telephone to the owner. “Christine, thank you so much. Your work is so powerful.